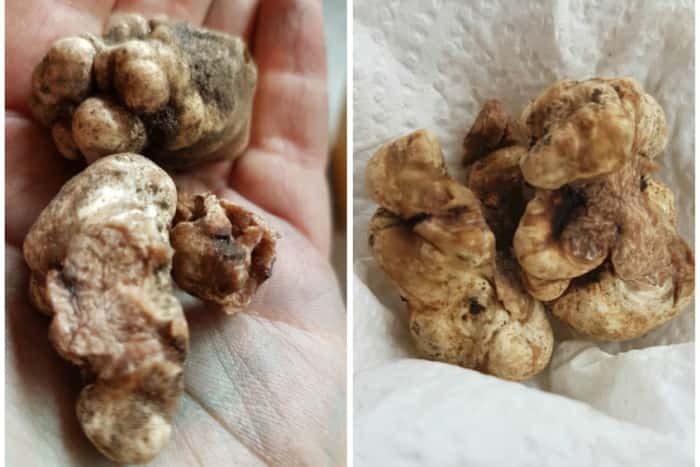 An Edinburgh woman has made the discovery of a lifetime after finding a “one-in-twenty-million” white truffle in her back garden. The woman, who has asked to remain anonymous, discovered the rare delicacy while tending to her vegetable patch in her garden in Portobello. Chef Campbell Mickel with what remained of the white truffle on Saturday afternoon. Native to France and Italy, the notoriously-pricey white truffle is seldom unearthed this far north. Suspecting she had stumbled upon something rather extraordinary, the woman passed her find on to city chef Campbell Mickel, who was lost for words. Upon receiving the call from the woman’s cousin; one of his former front of house managers, Martin MacEachen, Campbell “rushed down in about 30 seconds”. “It’s simply staggering,” Campbell, who runs Merienda restaurant in Edinburgh’s fashionable Stockbridge district, said. “We’ve estimated it’s about a one-in-twenty-million chance. “I think there’s one that’s been found in Scotland and that was in a rural environment. To find it in an urban garden is incredible. At the finder’s request, the rare item has been named after her “sweet little nephew, Luca, a very special boy”. On Saturday evening Luca’s Truffle was put on the menu at Merienda, with all proceeds going towards baby bereavement charity SiMBA. The event also complements Baby Loss Awareness Week, which comes to an end on Monday. “(The finder) wanted to make a donation to charity,” explained Campbell, 48. “We already serve a truffle dish, but it’s using a black truffle; a winter truffle, with hot potato and roast parsnip. “So I thought, let’s spread the word for everybody to come here, have a slice of it and give the money to charity. “Once it’s been foraged, it starts to lose its potency within five or six days, so we had to move fast. Mr Mickel, from Edinburgh, has been a chef for more than 30 years. He opened Merienda at North West Circus Place just two months ago. 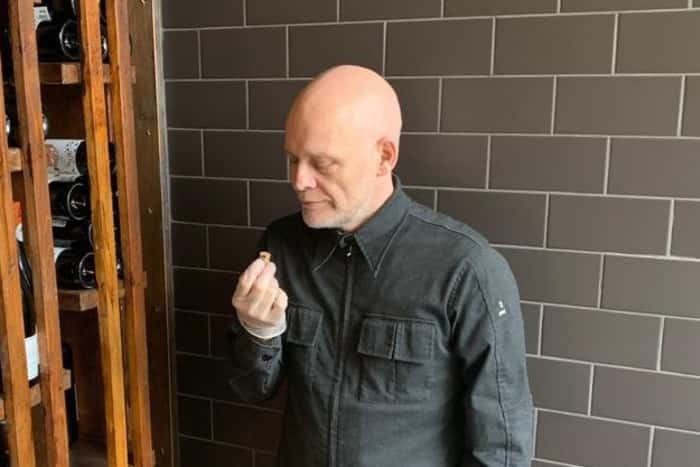 He added: “To find this truffle in a city environ and not a rural environment, it’s mind-blowing. “I’ve seen many white truffles in my time, but never a Scottish one. I understand exactly how rare it is. Often referred to as the ‘diamonds of the kitchen’, the pungent-smelling fungi can sell for tens of thousands of pounds. The record was set in 2007 when a Macau casino mogul parted with $330,000 at auction for a 3.3 lbs Tuscan white truffle.